Prague is kind of incredible. Free from communism for just over a couple of decades, it is now bustling with tourists admiring its architectural wonders and exciting culture. When I arrived, I was immediately taken aback by all of the imposing buildings, each constructed with incredible detail. Hostel Santini Prague: This is definitely in the running for the best hostel I’ve ever stayed in. First of all, the location was fantastic. It was an easy walk (thanks to their clear directions!) from the Metro station and is on a beautiful street lined with restaurants with outdoor seating. It’s about 5 minutes to Charles Bridge, and I was able to walk nearly everywhere I went in the city easily from the hostel. Secondly, it was super clean (there are ensuite bathrooms for each dorm, and they clean them twice a day! Twice!) and spacious. On top of that, the staff was beyond friendly and took time to research and write down detailed directions for me when I needed help planning a day trip. But the icing on the cake? It’s a 17th century UNESCO-protected building. 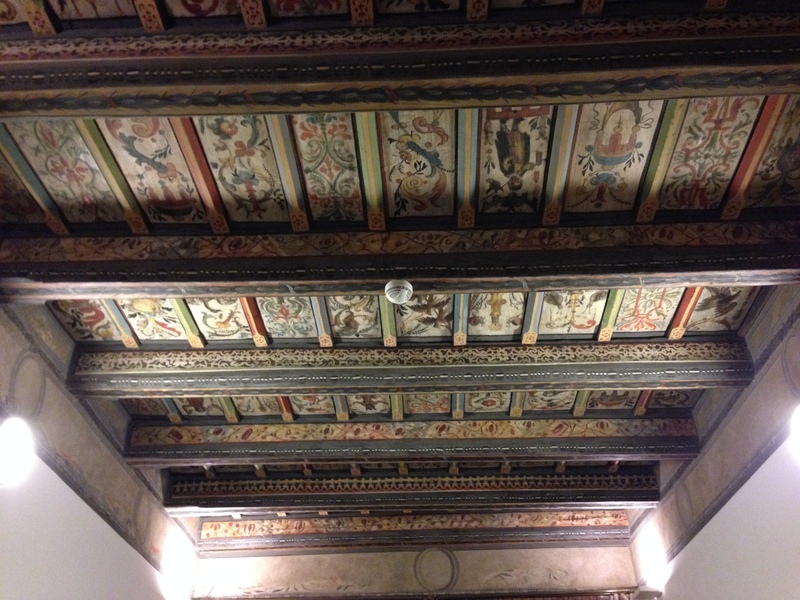 Each dorm and hallway features original hand-painted ceilings and beautiful hardwood floors. Yep. Not too shabby for 14 Euros per night. 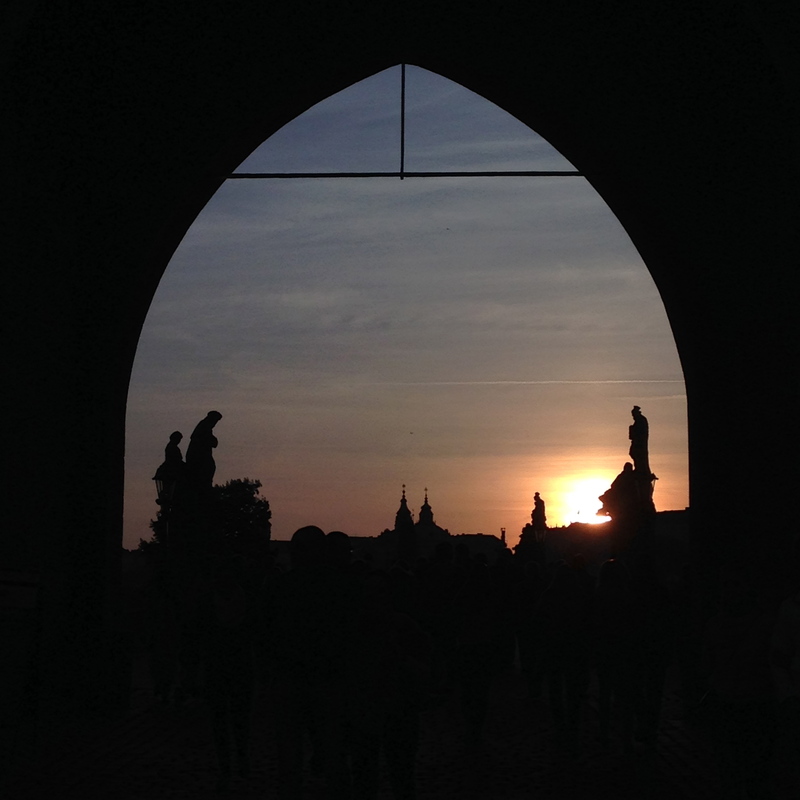 Charles Bridge: You will inevitably end up here if you go to Prague. As you should. Old Town Square: I ate all of my picnic meals here in what feels like the central hub of tourist Prague. Perfect place to sit and people-watch, listen to the buskers, and admire Prague’s beauty. Wenceslas Square: The site of many important (and violent) anti-Communist demonstrations, this square plays an important part in the country’s history. I didn’t spend much time there, but it’s definitely worth seeing. 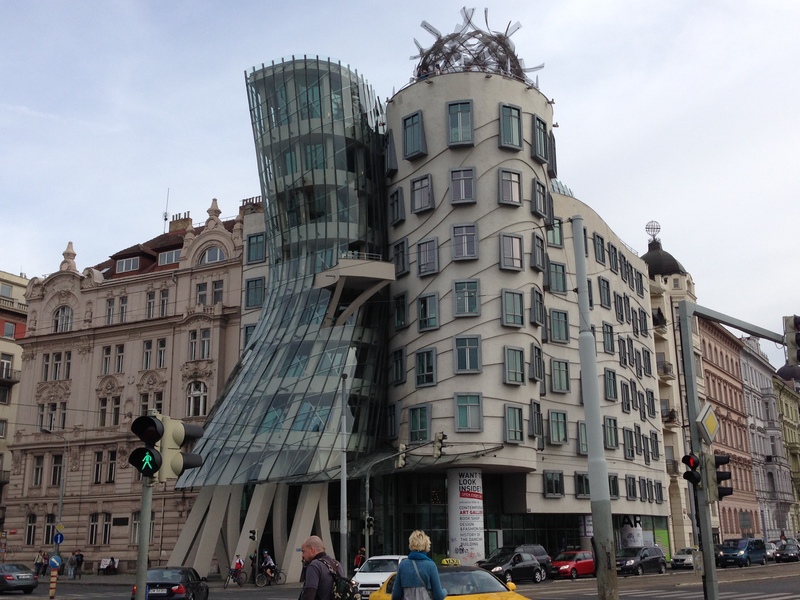 Fred and Ginger: Also known as the Dancing House. You’ve definitely seen photos of it in your friend’s Facebook albums. It’s really neat. Go. Restaurant U Laury: It was a quiet but friendly place a few doors down from my hostel, and perfect for a traditional Czech meal. I tried Grog (hot water with lemon and a shot of rum) and Moravian Roasted Pork with sauerkraut. It wasn’t pretty, but it was good. Nerudova 10, Prague 1. Mamacoffee: It was two floors and lots of seating, so it’s the perfect place to sit with a book or hang out with friends. The coffee was good and there was a good-looking dessert section, which occasionally has gluten-free offerings. Yum. Vodickova 6, Prague 1. Dietary Restrictions? : There are a few DM markets throughout the city (DM is always a great bet in Central and Eastern Europe, as they all have a small but decent gluten-free section), and I also found a great little market called Country Life that stocked a ton of allergen-friendly foods, including a couple of freshly-baked gluten-free baked goods and a small hot foods counter. Always a relief to find a place like this. 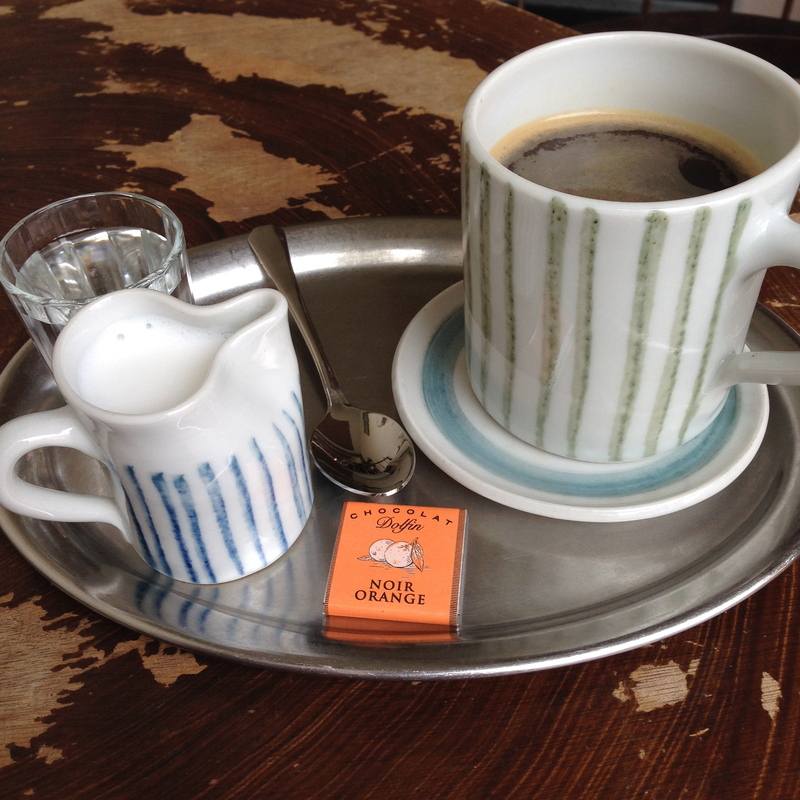 Jungmannova 15, Prague 1 (–> The link shows another location, but I visited the one on Jungmannova, conveniently close to Mamacoffee). 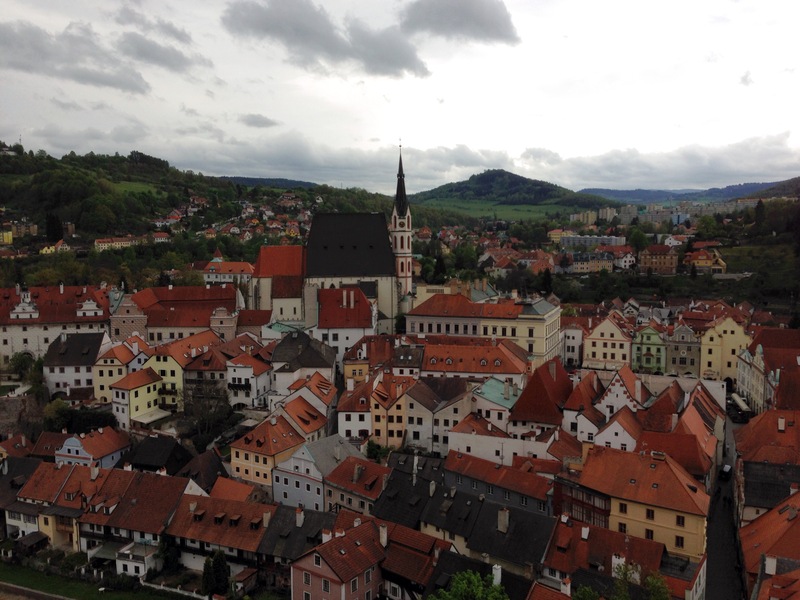 I took a bus down to the quaint Bohemian city of Cesky Krumlov for a quick day trip. I would recommend more time here (at least one night), but with my short time in Prague I couldn’t allow for a long side trip. Walking through the cobblestoned city is like being in a fairytale. I took the 7am bus out of Prague, arriving at 10am, so for the first couple of hours I was able to explore the city in peace before the hordes of tour bus passengers poured in. Wandered aimlessly through the residential and commercial parts of the city. So so charming. Laibon, a vegetarian restaurant with outdoor seating along the river with gorgeous views. I had a dish with lentils and veggies and rice and oooh it felt good to have food like that again. How I got there: Student Agency, which has multiple buses going each way throughout the day. Some of them have wifi and individual screens, and you book your seats online in advance. Bonus? You can just show them your email verification to board – no need to print the ticket. The price varies a bit depending on the time, but it only cost me about 7 euros each way. 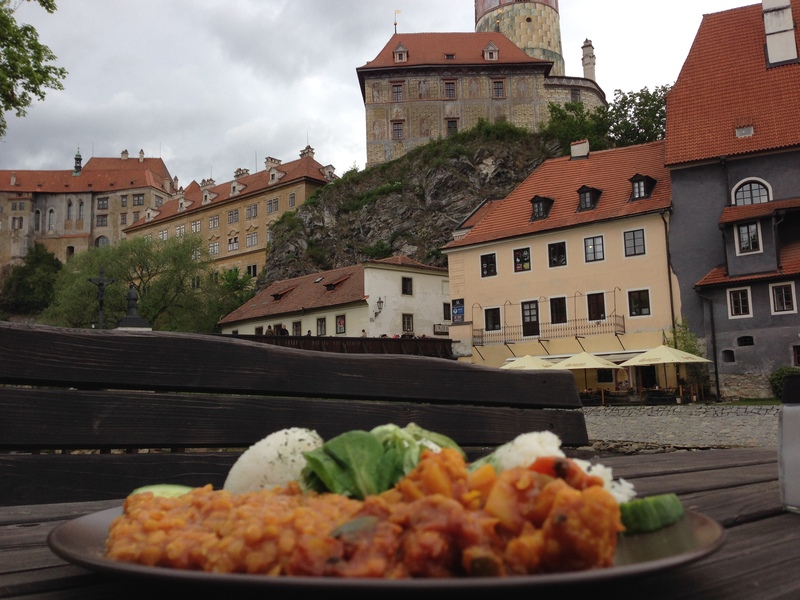 It sounds like you did better with food in Cesky Krumlov than I did. I ate a wilted salad at a cafe for dinner and then the following lunch. It’s a beautiful city but not much for those of us who are gluten-free. Oh no! I’ve had many meals like that, unfortunately – it can be so frustrating. I’m so glad you commented on my blog so I could discover yours – looks like a great resource! Your blog too! Nice to “meet” you!